Dubai, UAE, July 22, 2018: Smart Stores Expo, the region's leading retail industry trade event, is pleased to announce its partnership with the ENOC Group. 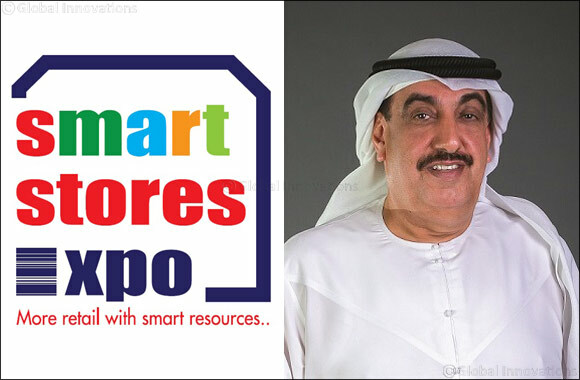 Now in its second edition, Smart Stores Expo is scheduled to take place on September 4 – 6 at the Dubai International Exhibition and Convention Centre. The event is devoted to showcasing the latest trends, developments and technologies shaping the future of retail. It will focus on four key verticals – build, operate, manage and retail leasing pavilion – catering to all aspects of the retail industry. ENOC is a leading integrated international player operating across the energy value chain. The Group operates 118 service stations, and offers its customers fuel and non-fuel services through its retail outlets; in adition to automotive services to customers across the UAE. Part of the Group’s nonfuel retail offering includes ZOOM; a flagship homegrown convenience store operator in the UAE. ZOOM has become the largest convenience store operator in the UAE; and has evolved from from a traditional convenience store at a petrol station to an upmarket concept with varying contemporary formats across different locations; from transit systems, commercial and residential communities, to the most iconic developments in the UAE. In the face of a changing retail landscape, leading industry players are continuously improving to keep up with consumer demands. Business experts have seen a trend in the growth of smaller store concepts especially in the urban areas where consumers are increasingly leading on-the-go lifestyles and demanding ultra-convenient shopping experiences. “Consumers now are demanding quick, convenient and one-stop shopping experiences across retail stores. This is where ZOOM thrives. They have mastered the retail formats that exactly address consumers' utmost priority for convenience. ZOOM has developed a holistic retail system that allows customers to do their shopping, at the same time, the stores offer other value-added services including utility bill payment, purchasing of airline tickets, top up gift cards, money transfer etc. They have totally redefined convenience store shopping into an up-market one-stop shopping experience. ZOOM’s commitment to innovation is evident in the company’s track record of success, and this makes them a perfect fit to be a part of Smart Stores Expo,” Nair further commented.